Increasingly powerful tools have many marketers wondering just how many business processes can be automated. Lead management, event communications, free trial programs – these campaigns are ripe for automation and optimization. And the results can be outstanding – higher lead output, increased sales velocity, better visibility and higher ROI. 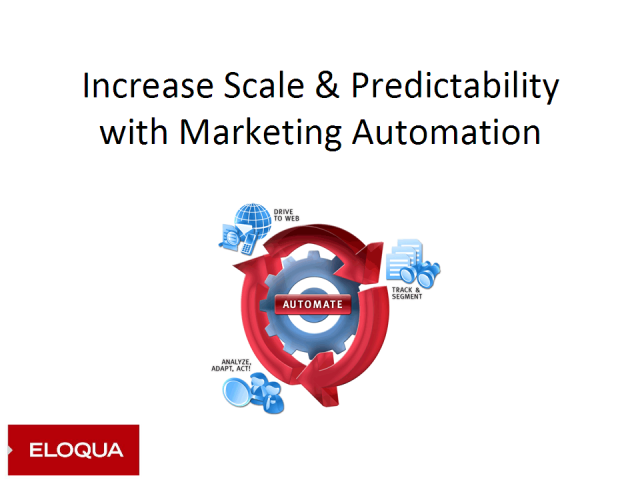 In short, marketing automation platforms are being used as a new revenue engine that consistently and predictably manufactures demand and delivers results. Register for this Marketing Roundtable and learn how your peers have implemented Marketing Automation solutions – and have ultimately transformed their business to deliver increased revenue and ROI.